For over 14 years, Gilbane has played a vital role in FDA’s National Capital Regional Consolidation to College Park and the White Oak campus. This multi-phased campus project consisted of 16 newly constructed and renovated buildings for administrative offices, research laboratories and support services. 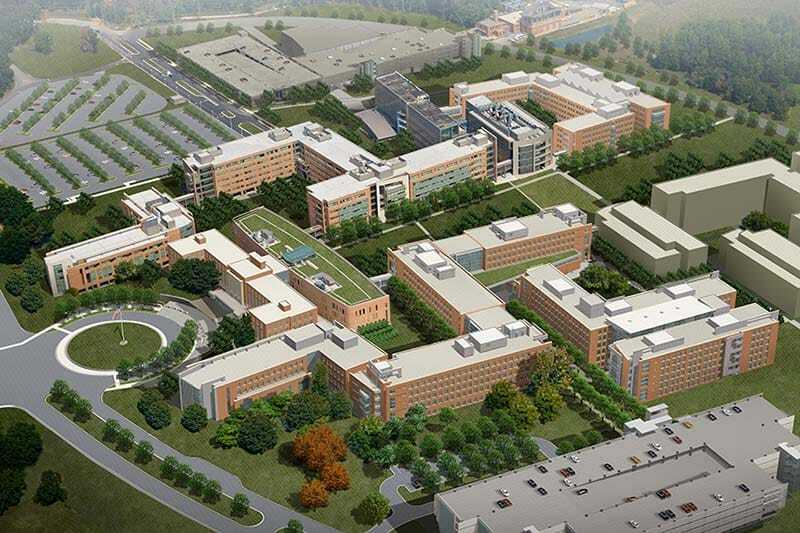 The campus consolidation effectively brought together FDA centers and departments located in 36 buildings throughout Montgomery County in Maryland. Gilbane developed FDA’s Relocation Master Plan, as well as produced and managed the occupancy schedule, relocation budget and phasing analysis. The TPM team planned, coordinated and provided pre-move and on-site move supervision for the relocation of approximately 9,000 FDA and contract employees. Gilbane was responsible for the asset inventory and tracking, as well as the decommissioning of the previous building, for each move. In addition to the White Oak consolidation, Gilbane has further strengthened our relationship with the FDA through several, long-standing projects including the Regional Laboratory at Irvine and the Center for Food, Safety, and Nutrition (CFSAN) Consolidation in College Park, Maryland.